Fishing on the Compass Rose, out of Key West, Florida, is unlike any other charter you have ever been on. 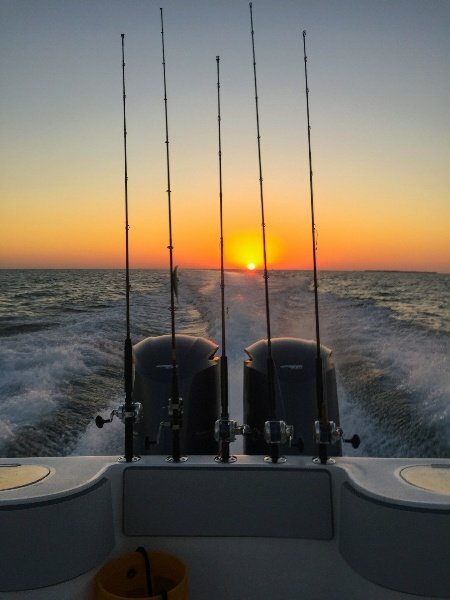 For me, Captain Mike Weinhofer, it's what I love to do and it’s a chance to show clients my passion and why I love fishing in the beautiful Florida Keys. As Captain of Compass Rose Charters, I like to have fun, so be sure to bring your sense of humor. My goal is to get people involved in all levels of fishing. If I do ALL the necessary activities to prepare, find and hook your fish, then simply hand the rod to you, it would be like me taking your date out, getting her tipsy and having all the fun, then making you take her home. That wouldn’t be fun for you. I will teach you as much or as little as you want to know about Key West fishing. Some people want to help run the boat, hook their own bait and catch the fish and even gaff their own fish. I'm all for that! The more you learn with Compass Rose Charters the more fun you'll have on your trip. There is no need for apprehension. As with most charter boat captains, there isn't a mistake you can make on the boat that I haven’t already made at least once in my career as Captain of the Compass Rose. I’m sure I would make plenty of mistakes at your job too. I believe fishing should be fun. Fishing is supposed to be fun. I like to laugh at (I mean with) my clients and I may even bust your chops a little, but I am committed to making the charter experience fun for everyone on the boat. On the Compass Rose you can expect to use well-maintained gear and I pride myself on using first-class equipment. You pay good money to go fishing and I want to give you the best boat, tackle and gear to get it done well. Compass Rose Charters SunsetThe Compass Rose is not an older boat with tired motors. I run a larger, faster boat than almost any other similar class boat in the fleet. There are two major reasons for this: your comfort and mine. I still want to be doing this when I'm 75 years old so it has to have a nice soft ride. When the wind is blowing and it gets a little bumpy, a 40-foot long center console ensures a smoother ride out to the fish and makes the world just seem a little nicer. I'm currently running a 2011 Model 37 Carbon Kevlar Sea Hunter center console and if not for their generous sponsorship I wouldn't be running a $300,000 boat. If you haven't heard of them yet, you will. They are incredible boats. The Compass Rose has the new Yamaha 350 horse-power V8 motors that have the torque to get the job done and done in a hurry. I installed Raymarine electronics on it from soup to nuts. It also has a tower for sight fishing, which makes a huge difference, and yes it also has a marine toilet inside the console for your privacy and comfort. I always ask my charters to call me the night before we go fishing. There are a couple of reasons for the call. First, we can discuss what the fishing has been like and what weather conditions to expect. Secondly, you can tell me what you want to catch. The funny part is, I go to bed at night thinking about the next day and like a little kid, I can't wait to go out and give you the fishing trip you have been waiting for. Even after all these years of fishing and as Captain of the Compass Rose, a good day on the water fishing with a fun charter is still like Christmas morning to me. I enjoy seeing each new fish the client catches and it is exciting to know I played a part in someone else’s joy. A lot of my charters are repeat customers, so it is like taking old friends out for a day of fishing. 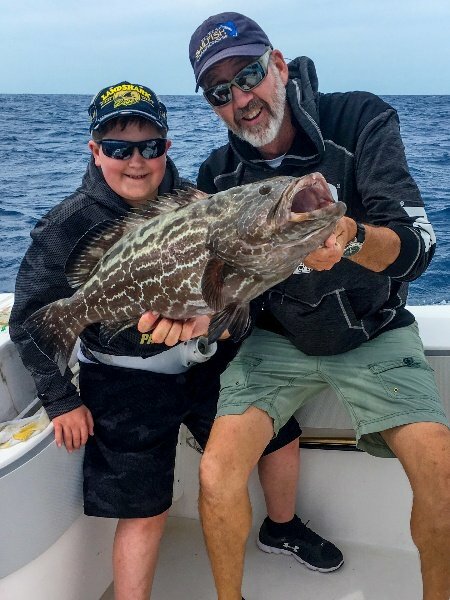 After a trip or two I really get to know my charters and I learn how to ensure they have a great time. The one thing I ask from all my charters is that if you are not having fun, don't wait till the end of the day to tell me. Tell me immediately so we can fix it. My goal is to catch you the memories you are hoping for and for me to make new friends for years to come.